Gavin Newsom ditches the urban Governors Mansion for a $3.7 million dollar mansion in one of the whitest communities in California. It is an hour round trip from the capitol and will require a large security detail to make the trek every day. So much for diversity and global warming. Of the study's 5,200 participants, 44 percent cited faster commutes as the primary reason to expand public transportation, followed closely by shorter lines at the gas station. Environmental and energy concerns ranked a distant third and fourth, respectively. Collier said he hopes the study serves as a wake-up call to Americans. In conjunction with its release, the APTA is kicking off a campaign to promote mass transit with the slogan, "Take The Bus… I'll Be Glad You Did." Redwood City council person Alicia Aguirre laments about the lack of outreach and loses her appointment to the MTC. The mayors in San Mateo Couinty refused to reappoint her because she did not report back about the CASA compact. Politicians are beginning to understand that they need to represent their constituents not just the regional agency. Rachel Swan Jan. 24, 2019 Updated: Jan. 24, 2019 1:19 p.m. It was like a drug deal. 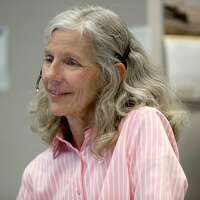 Once a year, Joy Hoffmann would arrive at a Safeway parking lot next to the Lafayette BART Station clutching a paper bag with $2,220 cash. A white car would be idling there, with a woman waiting inside. Hoffmann would furtively hand over the bag, and the woman would give her a plastic tag to hang in her car windshield: 12 months of permitted parking at BART. 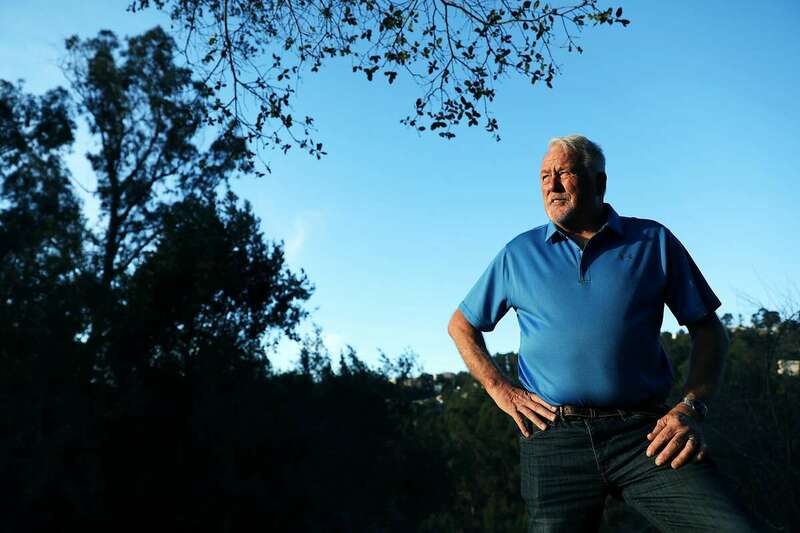 “And then I’d be jumping up and down,” said Hoffmann, a financial worker in Moraga who rode BART for 20 years from Lafayette to downtown San Francisco. 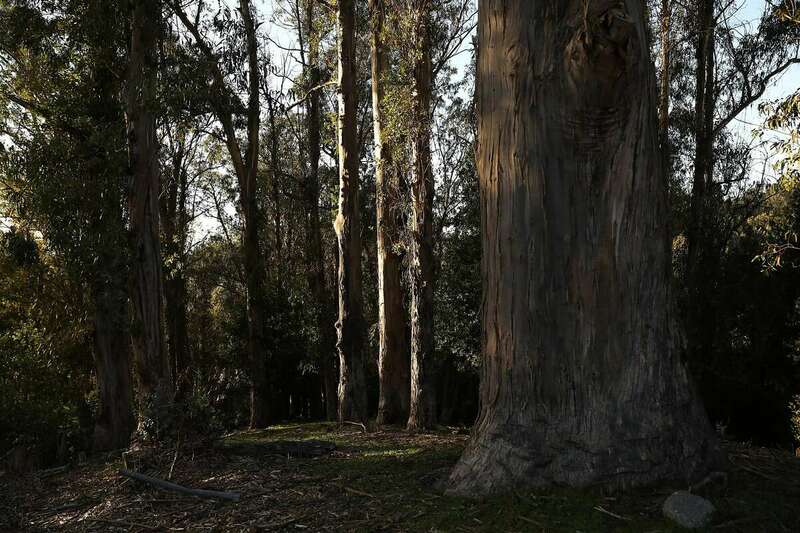 She paid a huge markup for the permit — $185 a month, compared with BART’s fee of $105 — but the price was worth it. Before she stumbled on the subletting scheme, Hoffmann was among thousands of commuters marooned on a waiting list that never seemed to budge. Today, the list of applicants is just shy of 41,000 people for 6,512 monthly parking spots scattered throughout the BART system. Board directors will discuss the crunch during an intensive two-day workshop that starts Thursday, where parking likely will emerge as a contentious issue. “We’re seeing this shift to thinking about climate change, greenhouse gases, that we should eliminate cars,” said board Director Debora Allen. Her district spreads through the hills and flatlands of central Contra Costa County, where driving is essential to daily life. The car-free vision works in San Francisco, which has robust alternatives to get from Point A to Point B, Allen said. 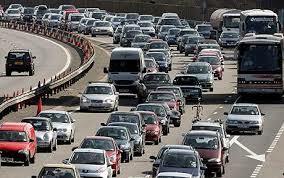 But in suburban areas where housing is sprawled out and buses are scarce, commuters are out of luck. BART’s numbers show that parking permit demand is highest in the suburbs. At West Dublin/Pleasanton Station, 4,607 people are lined up for 140 permitted spaces. 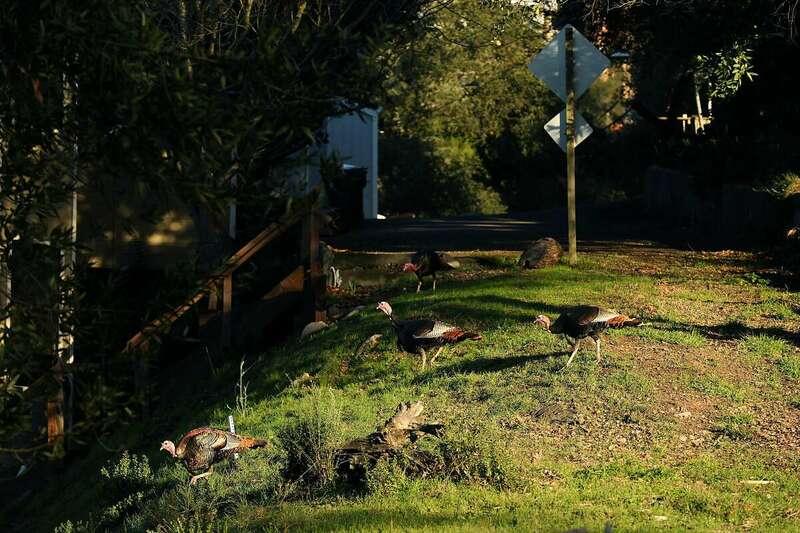 Walnut Creek has 3,862 people jockeying for 200 monthly permit spots. 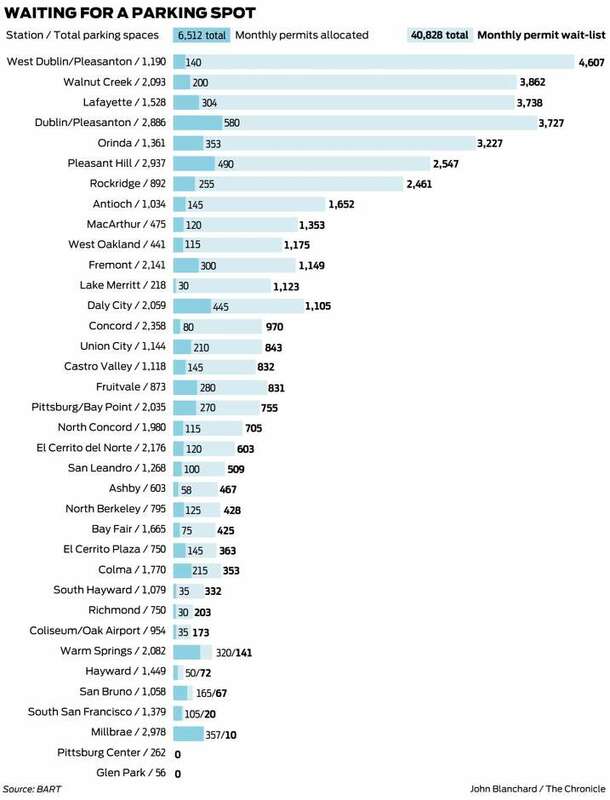 And in Lafayette, 3,738 people linger on a wait-list for 304 monthly permits, at a station that draws commuters from as far away as Dixon and Davis (Yolo County). Those conditions opened the door for gray market trading, which came as no surprise to some board directors, riders and city officials who are pressing for more parking. They say the situation will only get worse when BART starts filling its lots with housing under a state law enacted last year. “BART could care less about parking,” said Lafayette Mayor Cameron Burks. He opposed the law, arguing that dense development at BART stations — without any requirement for a garage or parking structure — will only put more cars on the road. When people circle a parking lot and can’t find any space, they wind up on the freeway, Burks and others said. BART also sets aside one-day permitted spots for people who reserve them in advance, and spaces for travelers seeking to stow their cars for several days. 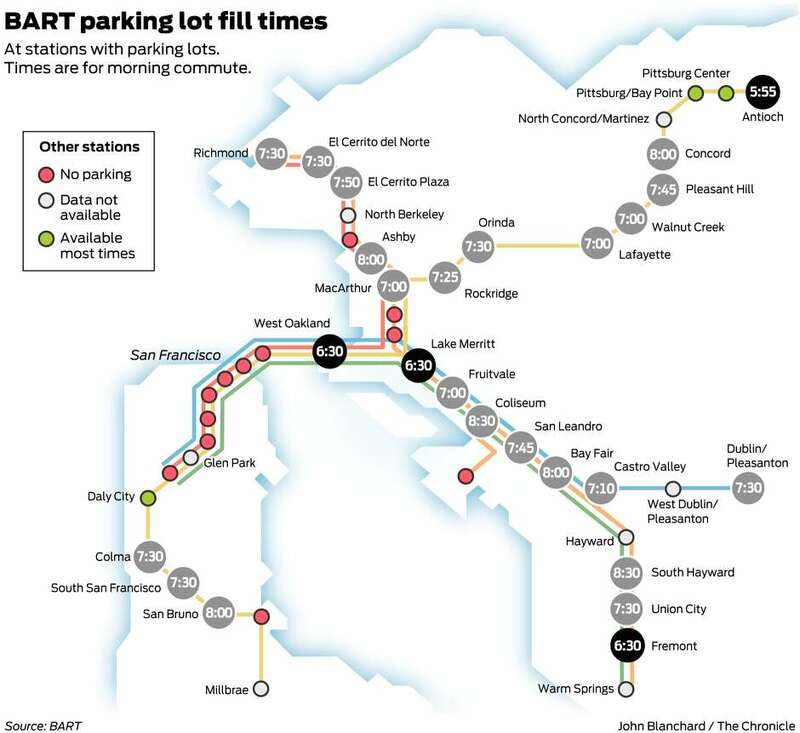 The vast majority of BART’s nearly 50,000 parking spaces are not reserved, and at most stations they fill up by 7:30 a.m. on weekdays. After 10 a.m. anyone can park in permitted spots, which doesn’t help people who have to be at work hours earlier, Allen said. The issue has created an ideological split among BART riders. Some cling to the concept that shaped BART back in 1972: suburban stations with vast parking lots that guaranteed a space for every commuter. But others see those lots as prime space for apartments, plazas and town houses — a form of urban design that would wean people off cars and reduce carbon emissions. 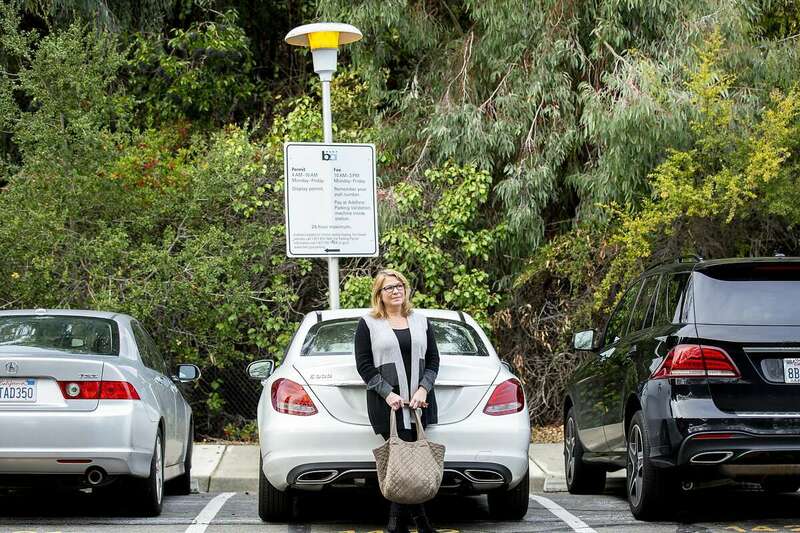 Fear of parking scarcity has made the monthly permits a valuable and sought-after commodity. Lark Hilliard, who lives in Orinda and got a permit several years ago, said she still hangs on to it even though she no longer rides BART every day. “I knew I’d never get it again,” she said. That sentiment appears to be widespread. Permit turnover has been slow, said Bob Franklin, department manager of customer access and accessibility at BART. In December, he said, the agency issued just 136 permits, barely chipping away at its long queue. Anecdotally, people wait as long as two years to get a spot. Subletting permits is against the rules, but that hasn’t stopped people from doing it. Since 2016, BART officials caught at least five permit holders who advertised on Craigslist or NextDoor, Franklin said. He also recalled three instances in the past three years of people putting fake parking placards in their windows. 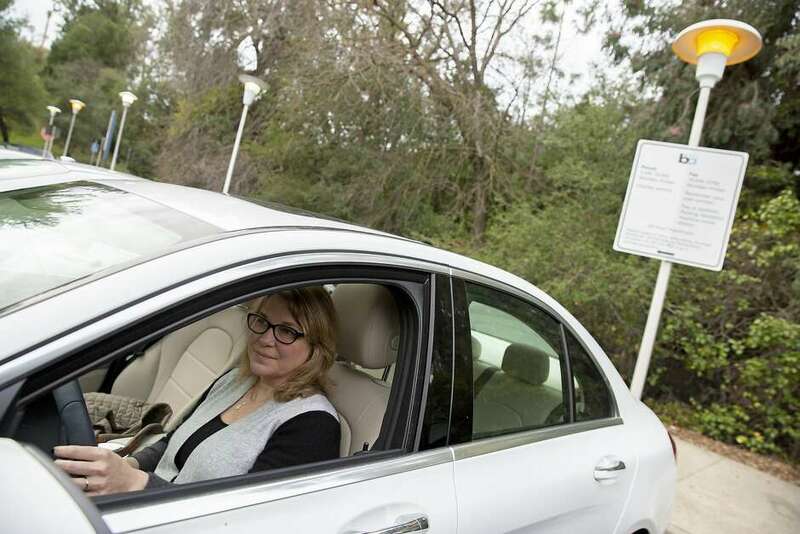 Joy Hoffmann at the Lafayette BART Station parking lot where she used to pay a premium to a permit holder for use of their tag. Hoffmann said she found her dealer by posting a desperate plea on an internet discussion board. The exchange was somewhat complicated — besides paying cash in a paper bag, Hoffmann also had to give the woman her license plate number so it could be linked to the tag — but it worked for three years. Then, in 2017, Hoffmann snagged a parking space at a private lot through her job. She urges BART to adopt a more equitable permit strategy, with incentives for people to give up their spaces. One solution that’s not on the table: more parking. BART doesn’t have land or money to build new structures or lots, which cost $20,000 to $30,000 a space. The planned surface lot at Antioch Station, scheduled to open next year with 850 spaces at a cost of $16.4 million, will likely be BART’s last parking expansion. Instead, the agency will focus on modernizing its carpool program so that people who share a vehicle can be guaranteed a spot. Board directors will also discuss new enforcement tools, such as license plate readers, which could free up police while clamping down on underground trading. Board Director Lateefah Simon, whose district stretches from Richmond to downtown San Francisco, said she gained a new perspective on suburban commuting last August, when she moved from West Oakland to North Richmond. Simon doesn’t drive, so she takes Uber or Lyft to Richmond BART each morning. The DoD has distributed everything from "extreme cold weather drawers" to San Diego police to grenade launchers to cops in a small Iowa county. The Department of Defense Excess Property Program has seen a lot of criticism lately as news surfaces about how local police departments are using the Pentagon's extras. Pentagon equipment used by the St. Louis County Police in Ferguson, Missouri—the scene of civil unrest following the shooting of Michael Brown—includes multiple $47,000 trucks and scores of military rifles. The New York Times highlighted the program and produced an interactive graphic to show the flow of weapons from Defense to police. According to the Times, the program started as a countermeasure to high crime in the 1990s. Using data obtained under the Freedom of Information Act and covering 2006-2014, we looked into the type and cost of equipment that local law enforcement has been receiving from the Pentagon. Items ranged from aircraft (some costing over $5 million each) to screws and washers (36 cents each). Most of the equipment filtering down to local law enforcement will not surprise the average citizen—mostly rifles, handguns, and related equipment—but we found a lot of questionable line items. 1. 240 pair of "DRAWERS, EXTREME COLD WEATHER" for a total cost of $1,770.65. San Diego County, California. The documentation on just where the equipment goes is not clear, so a lot of the equipment could be used in county jails, by county or city law enforcement, or any other number of places. But one thing's for sure: Almost no one in San Diego County, California, needs underwear for "extreme cold weather." San Diego is one of the most pleasant places in the world, weather-wise, with a year-round average temperature of 75 degrees. 2. 200 pairs of "SOCKS" for a total cost of $468. Wichita County, Texas. The Pentagon gave or sold a lot of socks to different counties. The document contains 175 line items with the word "socks" in them, with nearly every state receiving the all-important garments. Wichita, Texas, received 200 pairs of Pentagon-issued socks, presumably for inmates at the James V. Allred Unit of the Texas Department of Criminal Justice. Otherwise, law enforcement in Wichita County is swimming in socks. 3. 18 units of "HAMMER, HAND" for a total cost of $2,683.86. Oakland County, Michigan. Oakland County is part of the Detroit-Warren-Dearborn, Michigan, Metropolitan Statistical Area and has a population of 1,202,362, but that does not explain why the local law enforcement needed to receive 18 hammers from the Defense Department at an average cost of $149.10 each. Considering Sears sells a Craftsman hammer for a quarter of the same price, it seems odd that the Pentagon is buying hammers at such a price in the first place. 4. One "1996 FORD EXPLORER" for a total cost of $24,500.00. Estill County, Kentucky. The notion that a county of 15,000 could need a police department sport utility vehicle is completely reasonable, but at issue is the specific vehicle. In 2012, Estill County received a Ford Explorer valued at $24,500, which is more than 11 times the current Kelly Blue Book value for a 1996 Ford Explorer (just over $2,100). Aroostook got $7,441,065.48 worth of equipment from the Pentagon—including 65 rifles, 25 pistols, and a $138,870 truck. It appears the Aroostook is the second-largest county by geography in the United States, but it's very curious that "the county" received a fishing boat from the Defense Department. One wonders how that aids in law enforcement activities. 6. 58 "HELICOPTER, UTILITY" for a total cost of $53,491,640.00. Brevard County, Florida. As highlighted in pieces in the Times, helicopters are a popular item. The District of Columbia received five helicopters, Los Angeles County received one, and even Stephens County, Oklahoma—population 45,000—received one. However, the Space Coast's Brevard County got a mind-boggling 58 helicopters from the Pentagon. The department even features its aviation unit online. 1 "MINE RESISTANT VEHICLE" for a total cost of $733,000.00. Dekalb County, Georgia. 1 "MINE RESISTANT VEHICLE" for a total cost of $412,000.00. Montgomery County, Kansas. 3 "MINE RESISTANT VEHICLE(s)" for a total cost of $1,236,000.00. Honolulu County, Hawaii. John Oliver's Last Week Tonight highlighted a video from the police in Doraville, Georgia, located in Dekalb County, showing off the police department's mine-resistant vehicle. It could be this one that nearly cost three quarters of a million dollars, shown in the video during a training exercise. Dekalb County is not the only county to receive such a vehicle. The phrase "MINE RESISTANT VEHICLE" occurs 341 times in the document, suggesting the Pentagon had a huge excess of such vehicles after the wars in Iraq and Afghanistan. Honolulu County, Hawaii, received three mine-resistant vehicles, despite the fact that Hawaii rates 36th in crime in the United States and does not have a problem with landmines. Perhaps most curious is the acquisition of such a vehicle in Montgomery County, Kansas. Montgomery County is only the seventeenth-most populated county in the state of Kansas and is over 100 miles from the state's largest city: Wichita. 8. 92 pairs of "SNOWSHOES" for a total cost of $6,191.60. El Paso County, Texas. Several counties received snowshoes from the Pentagon's excess equipment (including counties in Idaho, Montana, and Illinois)—but El Paso County, Texas While El Paso does get some snow because of its elevation, the county has a median snow measurement of 0 inches, according to the National Oceanic and Atmospheric Administration. The likelihood that law enforcement would need to wear snowshoes is low. 9. One "TRUCK, ARMORED" for a total cost of $65,070.00. Lincoln County, Montana. Lincoln County is a heavily wooded area on the Canadian border, with a sparse population of just under 20,000 people. It's also an area of low crime, which makes one wonder why a local police department received a $65,000 armored vehicle. Fear of invasion from the Royal Mounted Police? In a competition for the most well-equipped police department in the United States, Iowa's Buena Vista County Sheriff's Office must be near the top. The BVCSO is responsible for all law enforcement in the county of 20,000 and now certainly has the weaponry to do so. The BVCSO received two mine-resistant vehicles, four sets of night-vision goggles, 20 rifles, nine handguns, and eight shotguns from the Pentagon, among 180 line items in the document. But the five grenade launchers are a bit shocking. Buena Vista County is not known for being a war zone; rather, it is a group of small communities in northwest Iowa. The need for multiple grenade launchers anywhere outside a war zone is questionable, but it's truly ridiculous for the BVCSO, considering its last two press-release-worthy law enforcement actions included a capsized boat and a traffic accident. All of these line items bring up a host of other questions about the Pentagon's program. First, is training included for this weaponry? The spectre of improperly trained St. Louis County law enforcement has been raised in the reporting on the situation in Ferguson. And what about maintenance? Does Brevard County have a trained helicopter mechanic for its 58 helicopters? But mostly: Who in the Pentagon approved these transfers? Defense spokesman John Kirby told reporters this week that the equipment "is made available to law enforcement agencies, if they want it and if they qualify for it." That statement suggests that someone in the Pentagon looked at an application from Buena Vista County for five grenade launchers and did not bat an eye. Long ago, England was ruled by a king named Canute. Like many leaders and men of power, Canute was surrounded by people who were always praising him. Every time he walked into a room, the flattery began. "You are the greatest man that ever lived," one would say. "O king, there can never be another as mighty as you," another would insist. "Your highness, there is nothing you cannot do," someone would smile. 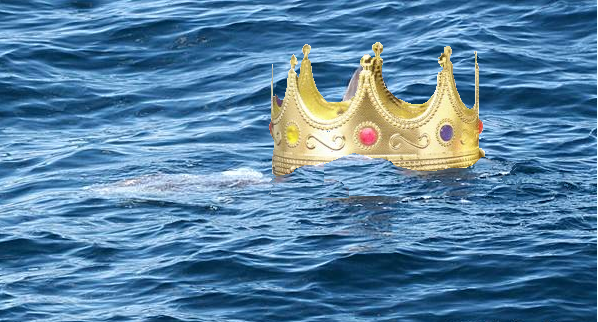 "Great Canute, you are the monarch of all," another would sing. "Nothing in this world dares to disobey you." The king was a man of sense, and he grew tired of hearing such foolish speeches. One day he was walking by the seashore, and his officers and courtiers were with him, praising him as usual. Canute decided to teach them a lesson. "So you say I am the greatest man in the world?" he asked them. "O king," they cried, "there never has been anyone as mighty as you, and there never be anyone so great, ever again!" "And you say all things obey me?" Canute asked. "Absolutely!" they said. "The world bows before you, and gives you honor." "I see," the king answered. "In that case, bring me my chair, and we will go down to the water." "At once, your majesty!" They scrambled to carry his royal chair over the sands. His officers were puzzled, but they did not dare say no. "Give the order, O great king, and it will obey," one of then assured him. "Very well. Sea," cried Canute, "I command you to come no further! Waves, stop your rolling!. Surf, stop your pounding! Do not dare touch my feet!" He waited a moment, quietly, and a tiny wave rushed up the sand and lapped at his feet. "How dare you!" Canute shouted. "Ocean, turn back now! I have ordered you to retreat before me, and now you must obey! Go back!" "Well, my friends," Canute said, "it seems I do not have quite so much power as you would have me believe. Perhaps you have learned something today. Perhaps now you will remember there is only one King who is all-powerful, and it is he who rules the sea, and holds the ocean in the hollow of his hand. I suggest you reserve your praises for him." The royal officers and courtiers hung their heads and looked foolish. And some say Canute took off his crown soon afterward, and never wore it again.